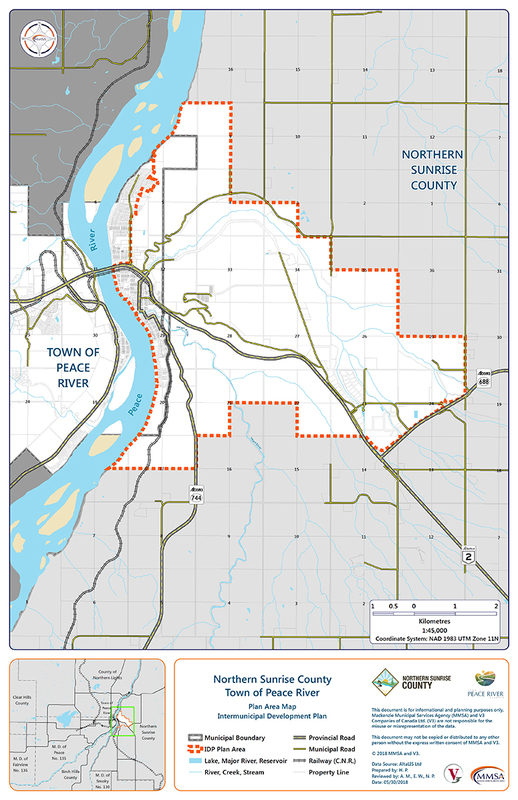 An open house is scheduled for March 13, 2019, from 5:30 to 8:30 pm in the Elk Room at the Chateau Nova, Peace River. The Open House is an opportunity for you to ask any questions or provide any feedback that you might have on the contents of the plan. Administrative matters related to the plan. What is the plan process? 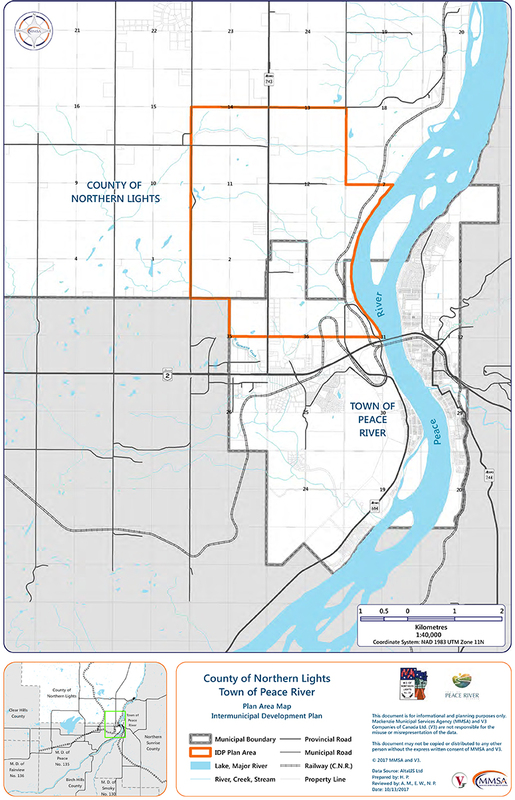 An IDP affects stakeholders, landowners whose lands are located within the IDP joint planning area boundary, and anyone interested in developing within the joint area. 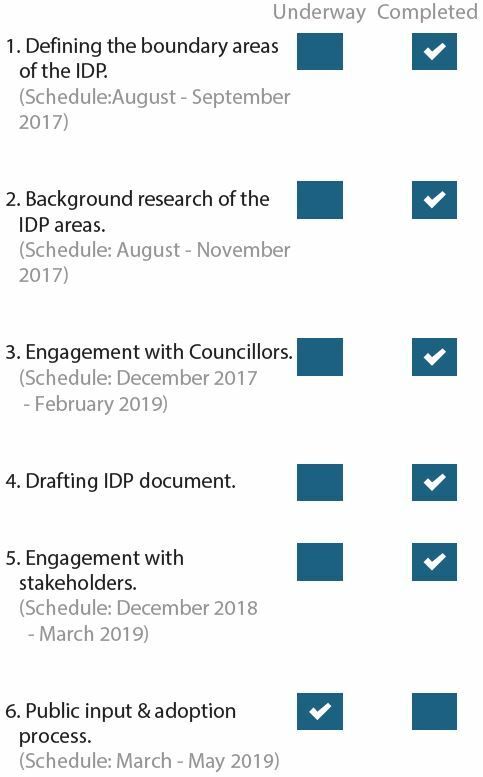 The IDP document will provide landowners, stakeholders and other interested parties with the appropriate land uses and development options for their land based on the policies adopted within the plan. It is important that future development is compatible with existing residential, commercial, industrial and agricultural uses; major transportation routes; and signiﬁcant environmental features and landscapes. Who are we doing an IDP with? This webpage will be updated as the project progresses. 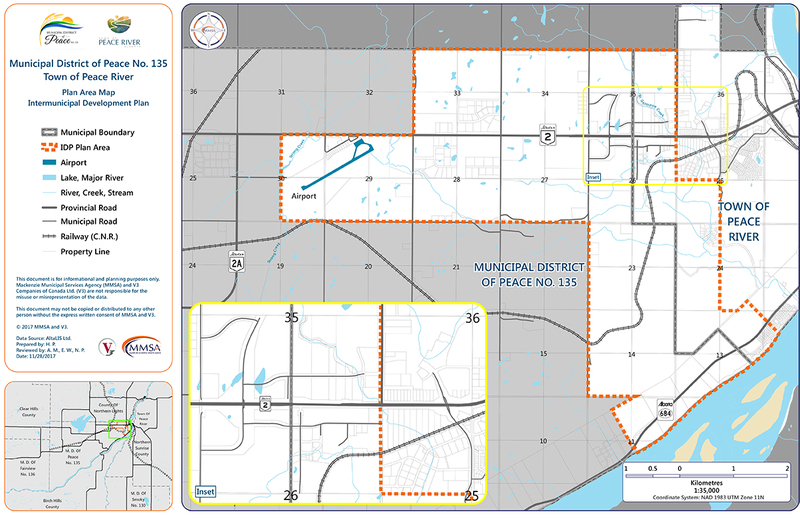 If you wish to be notiﬁed of updates please contact Mackenzie Municipal Services Agency.